One experience tells of an elderly man in oppressed Hungary. He had collected his tithing for forty years until he met a patriarch who could deposit it for him. Also, the man had tried unsuccessfully for many years to get permission to leave Hungary to attend the temple. Following a special blessing, his passport was finally approved and this faithful man received the temple ordinances. This example and many others depict the happiness that comes from obedience to the teachings and commandments of Jesus Christ. Readers can find renewed strength in their testimonies through these faith-promoting experiences. I would consider myself a voracious reader. I enjoy reading just about everything. 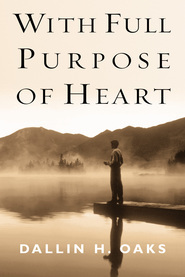 I love books, and of the thousands of books that I own, the one I always return to when I want to get a spiritual pick (with the exception of the LDS standard works) is this book. I am amazed by the experiences and diligence of President Monson. He is a charitable giant among men; truly a great example. Read this book if you are like me - someone struggling to stay motivated to be "constantly engaged in a good cause." 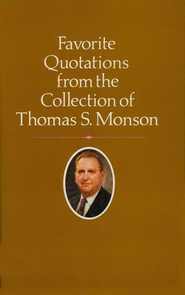 This book contains many of the wonderful stories that President Monson has enlightened us with in his many talks. These stories will warm your heart.